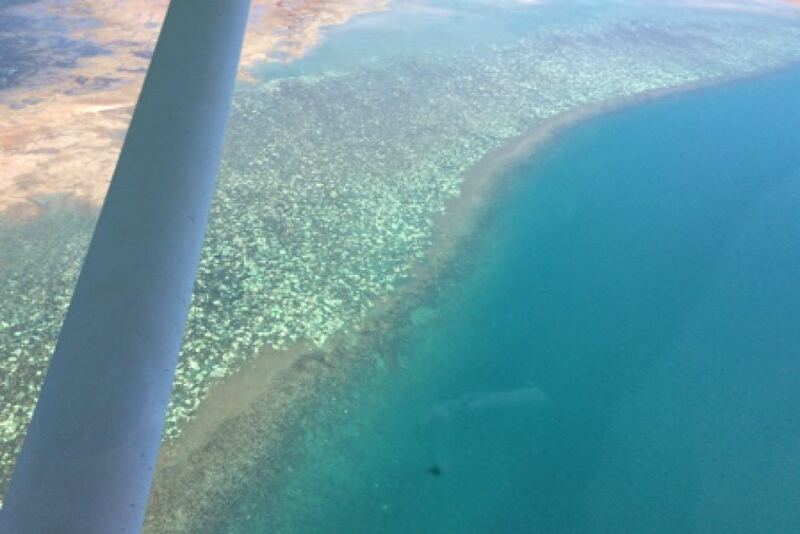 In April this year Indigenous rangers from the Crocodile Islands received an alarming photograph of a coral reef off the coast of Arnhem Land. Leonard Bowaynu, who has fished the same reef since he was teenager, had seen small scattered patches of white coral before — but never anything this extensive. “We used to go out, catch fish from the reefs. I never seen coral turning to white, like around the island or reef,” he said. Concerned by the image, rangers travelled to the area with a drone and GoPro camera to collect further evidence. Michael Mungula said it was the first time Yolgnu people had seen the coral bleached white at that reef. “We need scientists to come here and do research in the Crocodile Islands,” Mr Mungula said. Meanwhile, 300 kilometres south-east, in waters around Groote Eylandt, Indigenous Rangers were watching giant clams turn white as well. 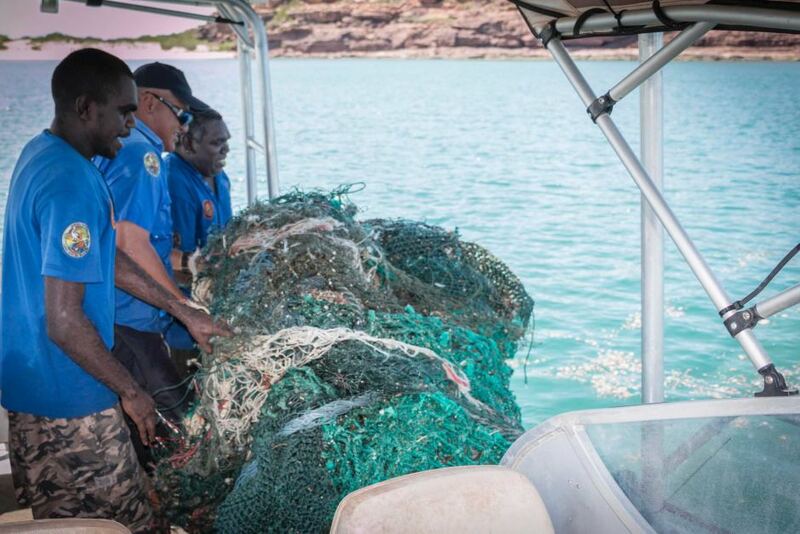 Anindilyakwa Rangers on Groote Eylandt began trialling the cultivation of giant blue-lipped clams (Tridacna squamosa) five years ago. But in April the rangers noticed a number of the clams had turned white. Rick Taylor, the ranger manager, sent underwater footage of the clams to the ABC. He said it was first time he had seen the clams bleach since the trial was established in 2011. 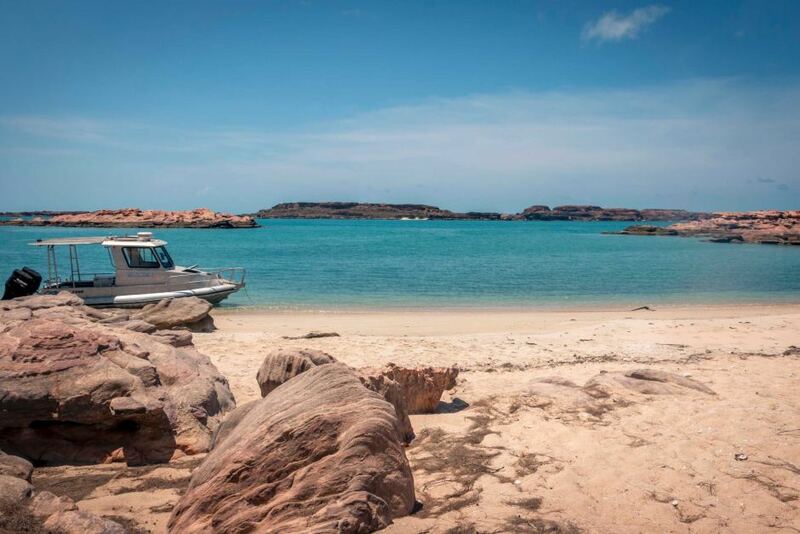 With the two ranger groups’ permission, the ABC sent images of the Crocodile Islands coral and clams from Groote Eylandt to marine scientist Andrew Heyward at the Australian Institute of Marine Science. Dr Heyward said the aerial photograph from the Crocodile Islands provided the first confirmation of a bleaching event in Arnhem Land. “It appears that in those areas checked it was severe,” he said. He said the photograph Crocodile Islands Rangers had received was confirmation of a massive bleaching event over the reef. 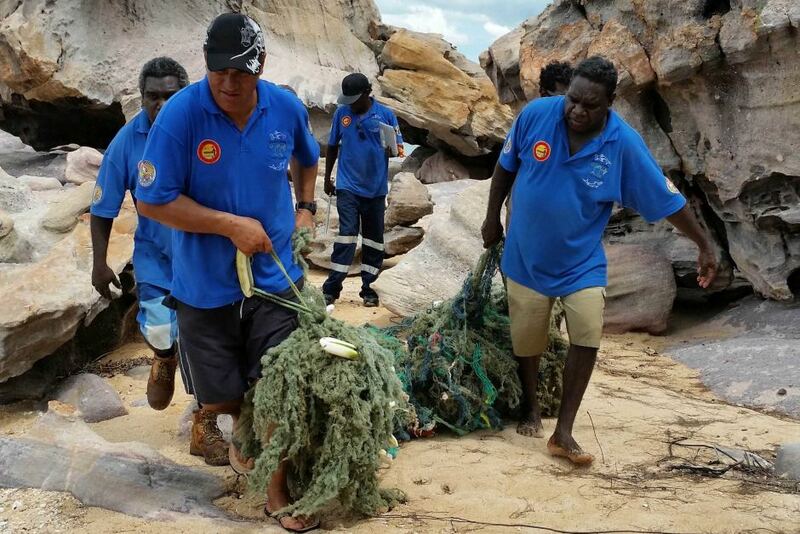 “The comments by the local rangers that they have never seen it [like this] before in their country is particularly telling that things are unprecedented, at least in human generational time frames,” Dr Heyward told the ABC. The clams were still alive when the pictures were taken and may have recovered since if the water temperature cooled quickly after April, Dr Heyward said. 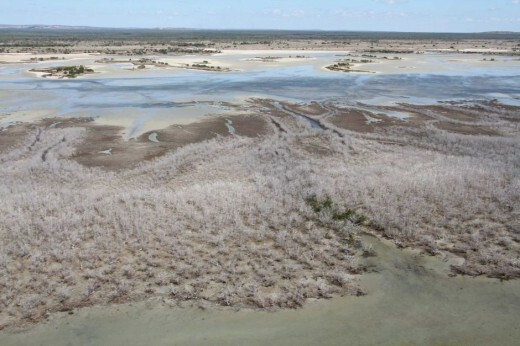 He believed the rangers’ observations were a first and said they were “valuable in understanding the extent of this bleaching event across the whole of the Australian tropics”. 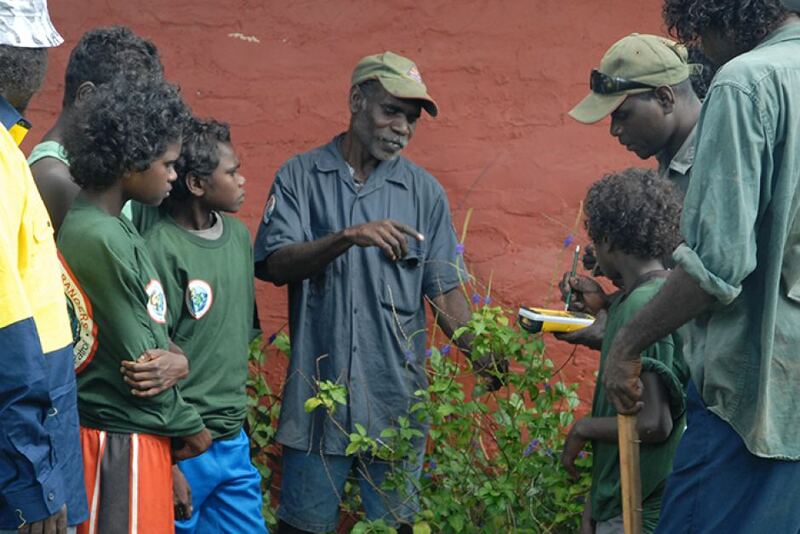 Dr Heyward said Indigenous rangers were able monitor environmental shifts in parts of the country most people cannot reach, and said he was keen for scientists and rangers to work together. Norm Duke from James Cook University agrees. 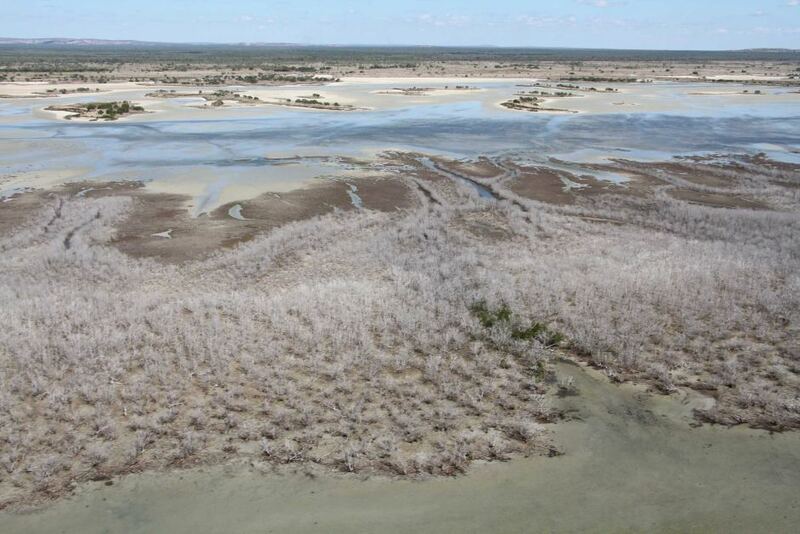 Dr Duke has just surveyed an unprecedented dieback of mangroves in the Gulf of Carpentaria, one of the most sparsely populated regions of Australia. “They’re already intimate with the coastline … it’s home. It’s their country. We’re working with groups on the east coast of Australia and the Pacific Islands already,” Dr Duke said. Ranger groups have expressed enthusiasm for equal partnerships with scientists. “Our families, relatives, elders, they never told us about the coral bleach. It’s happening now and we’re worried … because there’s big feeding there for turtles and fish and we want the scientists to tell us what is wrong ,” Michael Mungula said.